Weight Loss Coaching | Is this another fad diet? Absolutely not! WLC shows you how to make changes in your diet, lifestyle and thought processes, that will stay with you for your entire life. 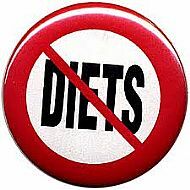 If you have embarked on diets in the past you will already be aware of how much weight you gain after stopping the Diet. The reason they do not work on a permanent basis, Is because they are not a sustainable way of life for the long term. It is also very unhealthy to completely exclude certain food groups from your diet. Your body and brain require a regular supply of protein, carbohydrates, vitamins, minerals, and fats. Weight Loss Coaching shows you manageable, lifelong and painless solutions from the very first session.